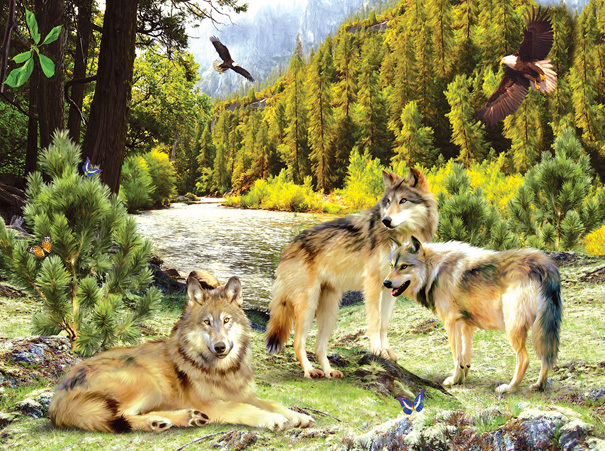 The Wolf Creek Puzzle features three beautiful Wolves at the edge of a mountain creek. There are eagles flying overhead. This Wolf puzzle is 100% made in the USA using eco-friendly, soy-based inks on recycled board.